Plate Heat exchangers | Gold-Bar ltd.Gold-Bar ltd.
Gold-bar is using the technological innovation SONDEX has developed and designed With the big range of plate heat exchangers SONDEX has got the optimal technical solution for any possible task, with connection sizes from Ø15 – Ø500 mm covering a liquid flow of 50 l/hour – 2000 m3/hour. of the liquids across the heating surface. 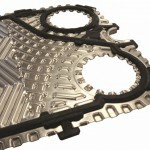 The inlet part is increased and supplied with grooves preventing “dead spots” which may cause the growth of bacteria in the plate heat exchanger. The inlet with groves secures a strong inlet part with a minimum of contact points. 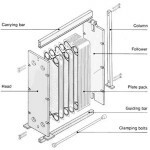 Low purchase price, high technical efficiency combined with thin plate material and low production costs keep the sales price of the brazed heat exchanger at an extremely competitive level. 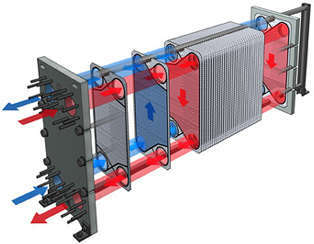 High temperature and pressure contrary to the traditional plate heat exchanger. The brazed plate heat exchanger does not contain rubber gaskets and can thus operate continuously at temperatures from minus 180°C. up to 200°C. The operating pressure can be as high as 30 bar. 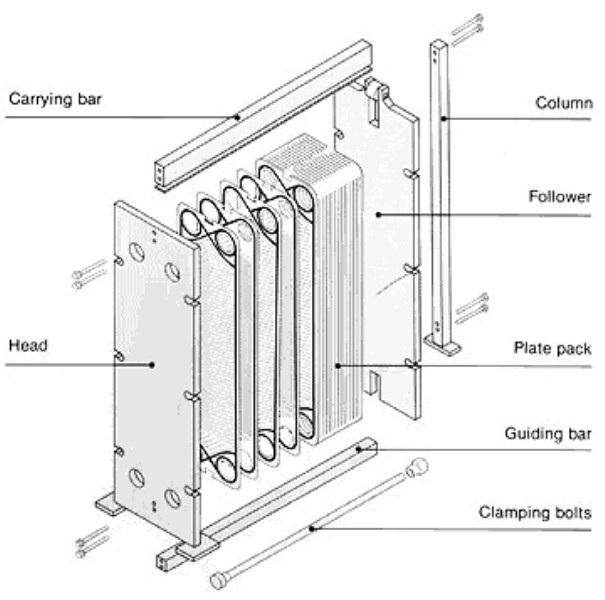 Application of brazed plate heat exchangers can be utilized for heating and cooling of clean liquids. 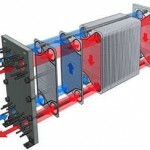 Furthermore, the brazed plate heat exchangers are suitable as evaporators and condenser units. Semi welded plates are built up in plate cassettes. A plate cassettes is 2 plates welded together by means of laser welding. The advantage by this construction is on the one side a welded plate channel and on the other side a traditional plate channel with gaskets making assembling and cleaning of this side easier. On the welded side there are two specially produced corner hole gaskets creating the tightening between the two cassettes. Thus the gasket is reduced to a minimum on the welded side. 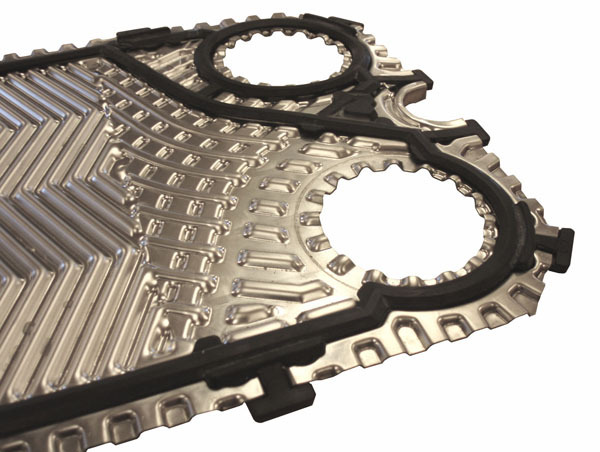 Free Flow plates are designed for liquids containing fibres or other particles which may clog up a traditional plate heat exchanger. SONDEX Free Flow plates are designed without metal contact between the plates in the liquid area giving a high turbulence and thus a high heat transmission coefficient and especially a long power time. The SONDEX Sonder Safe system consists of two thin flow plates stamped together. The two plates form a pair of plates which allows possible leaks to be seen from outside between the two plates. This prevents a mixing of the products and warns about internal leaks.